Turkish prime minister stated that Ankara will enhance its economic and trade cooperation with Asian countries, primarily with Vietnam. Ankara will enhance its economic and trade cooperation with Asian countries, primarily with Vietnam, Turkish Prime Minister Binali Yildirim said on Thursday. "Our country will maintain its strategy to increase its trade and economic effectiveness in the Far East, mainly in Asian market," Yildirim said at Vietnam-Turkey Business Forum in Hanoi, as quoted by the Anadolu news agency. Speaking about cooperation with Vietnam, the prime minister noted that the 2014 agreement on investment protection and prevention of double taxation had already been finalized. 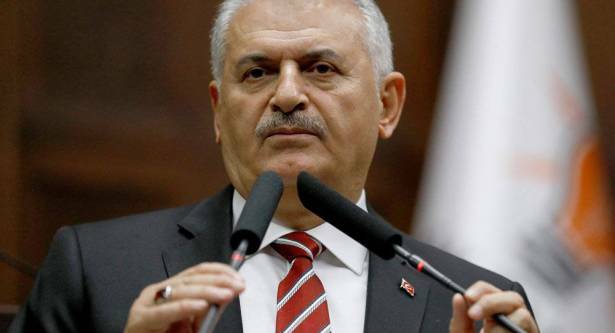 At the same time, the work on a free trade agreement between the two states have been accelerated, according to Yildirim. "Cooperating with a country that has high strategic importance like Vietnam and taking this cooperation further are among our priorities… Turkish investors contribute to Vietnam's economy by investing over $700 million," Yildirim said. According to Yildirim, the trade volume between Turkey and Vietnam is estimated at below $2 billion, while Ankara is determined to raise it up to $4 billion by 2020.